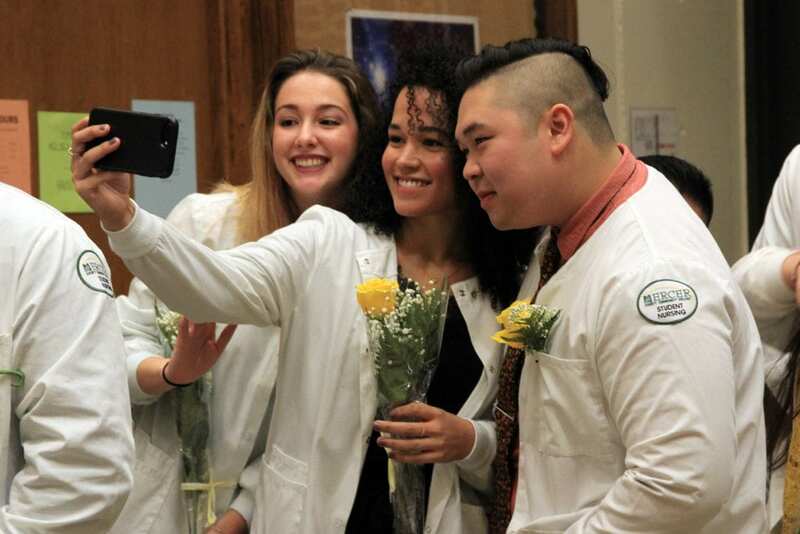 Several years of intensive academic and clinical preparation paid off on January 15th, as 40 Nursing students from Mercer County Community College (MCCC) were conferred their A.S. degrees during the program’s Pinning Ceremony. It was one of the largest classes in recent years and included nine male students. The graduates’ next step is to take the National Council Licensure Examination (NCLEX-RN). Over the past few years, Mercer’s pass rate on the exam has been over 90 percent. In her address, Valedictorian Naykis Arias of Mercerville expressed her gratitude to the Nursing program for becoming her guiding light amidst a career change. “A couple of years ago, I decided to go back to school. That was the easy part. 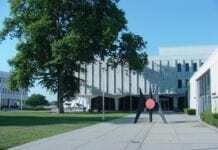 Deciding where to go and what to study was a much bigger challenge,” she recalled. Arias said that her Mercer experience was everything she was looking for – including a challenging curriculum, a schedule that allowed her to take classes at night, and credits that will transfer to a B.S.N. program. Six students were singled out for special awards. 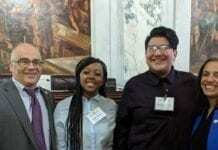 In addition to Arias, who earned the Academic Excellence Award, other awardees included: Yashirie Benitez of Trenton (Clinical Excellence), Rudra Singh of East Windsor (Professionalism), Isa Martinez of Trenton (Caring), Bethany Duncan of Pennington (Perseverance), and Shaiful Ali of Hamilton (Teamwork). After graduates received their pins, Director of Nursing Elizabeth Mizerek distributed their “Lamps of Learning” and led them in the Nightingale Pledge, named for the celebrated nurse Florence Nightingale. “These lamps symbolize the enlightenment and knowledge that will help you nurture that spark into a healthy flame,” Mizerek told the class. The graduates’ excitement was palpable as they discussed where they’ve been and where they plan to go next. Graduate Scott Hutchinson said that he is ready to make the jump from Mercer’s close knit and supportive family to the workforce. 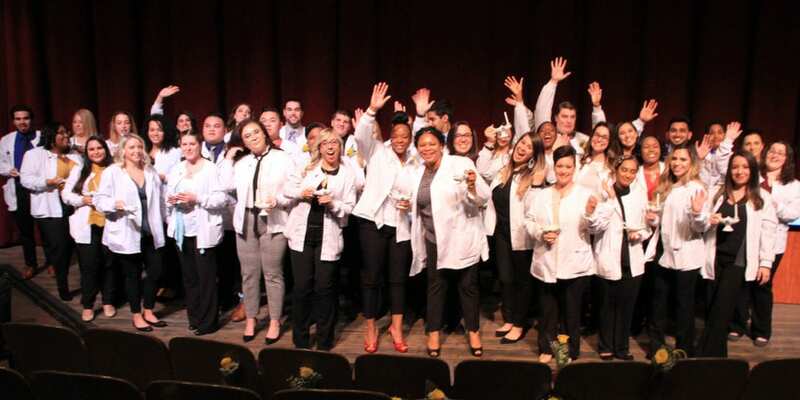 Congratulations to all members of the Nursing Class of Winter 2019: Liana Alam, Shaiful Ali, Naykis Arias, Bernice Bassey, Yashirie Benitez, Lindsey Bessellieu, Lauren Bolchune, Raheeda Bowman, Bethany Duncan, Tara Dunfee, Courtney Elia, Stephanie Evans, Kelly Foster, Jenna Garzillo, Danely Gonzalez, Diana Gonzalez, Sarah Grasselli, Joanna Guarini, Gabriella Hahn, Scott Hutchinson, Heidi Jones, Shedrea Kelly, Marie Luce Kernizan, Magdalena Kuklinska, Brian Lemus-Camey, Isa Martinez, Brenna Massey, Jenna Maxwell, John Adriel Ng, Suyesha Pallava, Matthew Piamonte, Andrew Punzo, Heather Richardson, Alisson Rodriguez, Rudra Singh, Samuel Tootleman, Nadine Valencia, Robin Vindigni, Zachary Walton, and Sharifa Waziri. 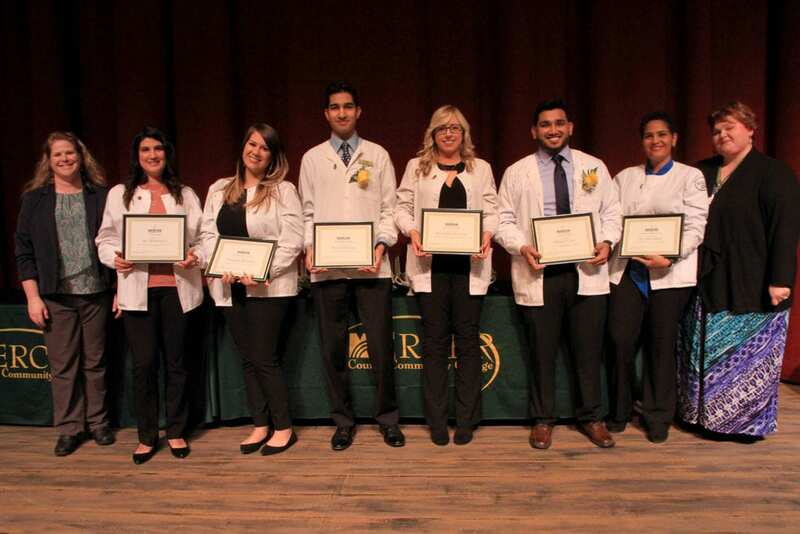 From left, Director of Nursing Liz Mizerek, award winners Isa Martinez of Trenton (Caring Award); Yashirie Benitez of Trenton (Clinical Excellence Award); Rudra Singh of East Windsor (Professionalism Award); Bethany Duncan of Pennington (Perseverance Award); Shaiful Ali of Hamilton (Teamwork Award); and Naykis Arias of Mercerville (Academic Excellence Award); with Professor Florence Lee. It was time for celebration at the conclusion of Mercer County Community College’s Nursing Pinning Ceremony on Jan. 15. Forty students earned their degrees, including nine men, who will now prepare for the National Council Licensure Examination (NCLEX-RN). In the past few years, the Nursing program’s pass rate has been over 90 percent. Happy members of the graduating class, from left, Brenna Massey of Pennington, Jenna Maxwell of Hamilton and John Adriel Ng of East Windsor.